Northern Gas Heating has been specialising in heating solutions since 2001 and prides itself on an efficient, friendly service. They are accredited Vaillant installers and offer an innovative product suite, with Green Deal as a key financing product. Green Hut was set up specifically to handle Green Deal plans on behalf of consumers, offering a high degree of industry knowledge and years of experience in the energy sector. A fantastic opportunity for homeowners and tenants to install energy efficient measures with no upfront costs at all. Improveasy are the perfect one stop shop for all your home improvement finance requirements. By offering green deal finance, private finance and ECO funding we can offer fantastic bespoke solutions to fit your every need. Infinity Energy Organisation was created to help provide a sustainable lifestyle for all customers as well as employees. Infinity came to light in October 2012 and has been a fast paced growing business with a productive and highly customer focused team. I nstaGroup is a one stop shop for home energy efficiency or renewable improvements. For over 15 years we have managed the UK wide Snug Network of local independent installers, together we will support you from survey to final installation, using Green Deal finance and access to grant programmes. Please note InstaGroup solely works with homeowner customers and not businesses. 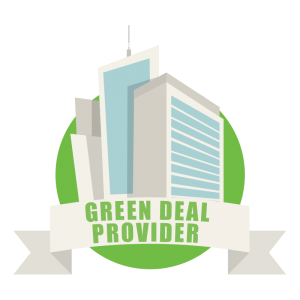 Here at MW as Green Deal Providers we can arrange your Green Deal Plan from Assessment to Installation. Measures currently range from Boilers including Biomass, Ground/Air Source Heat Pumps through to Insulation measures. The Green Deal represents a great way of retro fitting a property thus improving the energy efficiency and adding value to the property. If you would like to become a Green Deal Provider, please click here.